Actually they’ve been there all along. But, this is as good a time as any to remind you that weBoost cellular boosters and accessories are a big part of the Solid Signal portfolio, and you’ll find the best possible prices! 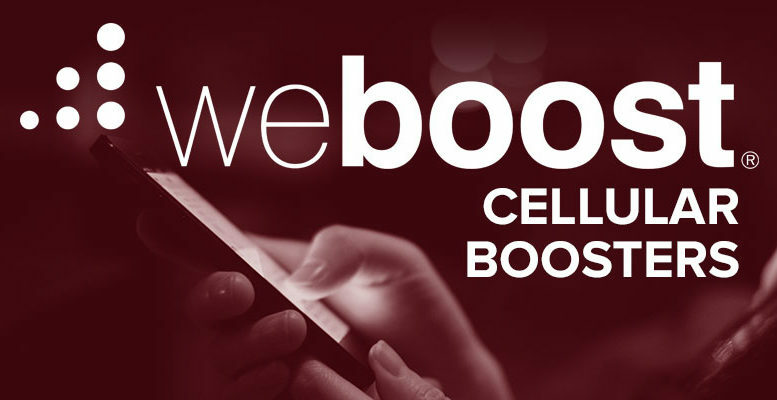 weBoost, originally known as Wilson Electronics, practically invented the cellular booster market and in the last two years has redefined it with boosters that are easy to use and powerful. There’s a whole line from the vehicle-only Drive 4G-S to the massively powerful Connect 4G-X which can cover pretty much any home with excellent cell coverage. Of course, there are plenty of parts in between as well, so no matter what size home or office you have you’ll find the right size booster for you. weBoost, along with many other retailers, has a policy that all online retailers must have the same published price. That’s not a bad thing but it does sometimes make it hard to decide who to buy from. However, if you call us at 877.312.4547, you can speak to a rep who can give you the absolute lowest price you’ll find anywhere… much lower than you can buy it from the manufacturer! Sure, you have to make a phone call, and you have to talk to a person, and I know that’s a drag. But at least our 100% US-based call center staff is well-trained and ready to help during business hours. Spend a minute or two rather than clicking “add to cart” and you’ll be glad you did. A lot of people will tell you that with Wi-Fi calling and with more and more towers being added all the time, there’s no need for a cellular booster. Those people… would be wrong because just the fact of being inside cuts your cell reception by about half. You don’t need me to tell you that most homes have at least one “dead spot” where calls are missed and data service drops. Considering that most people spend more on their cell service than they do on electricity or water, why should you suffer with bad reception! Take control with a cell booster. If you’re looking for the best selection of weBoost products, shop SolidSignal.com or even better, call us at 877.312.4547. You’ll be glad you did. NEW VIDEO: Will our wireless power bank work with a case?